Since the introduction of cloud computing, security has been one of the main concerns for any company contemplating a move to the public cloud. When the cloud was in its infancy, many companies opted to manage compute constraints internally, even if this meant barriers to engineering productivity. Now, as the public cloud has matured, most companies are hosting important personal and company data in Software-as-a-Service (SaaS) business applications. Engineers are coming to realize that using EDA tools in the cloud just makes sense. Just as companies struggle to grow their compute environment at the rate their engineering teams demand, it is difficult to keep up with the increasing number of more and more sophisticated security threats. The resources and expertise needed to keep in step with the constantly changing best practices are daunting. While companies often grow this expertise in-house with a small team and limited resources, the public cloud offers an opportunity to leverage economies of scale not only for compute power, but also security. Public cloud vendors have spent years dedicating their resources to securing—and proving the security of—cloud computing. They have developed some of the most advanced security measures available—from datacenter physical security practices rivaling military installations to sophisticated cyber security teams dedicated to proactively fighting the newest security threat. The Cadence® Cloud portfolio expands upon the native security of public cloud vendors with additional layers of third-party security applications, industry best practices, and penetration testing. The Cadence Cloud-Hosted Design Solution and CloudBurst follow the Cloud Security Alliance (CSA)-recommended controls and routinely conducts independent penetration testing to proactively comply with changes in the security landscape. Theses solutions also levelrage the world-class native public cloud services that have passed rigorous security certifications used around the world, including FIPS 140-2 Level 2; ISO 27001, 27012, 27018; Department of Defense Security Requirements; and MLPS Level 3 and MTCS. 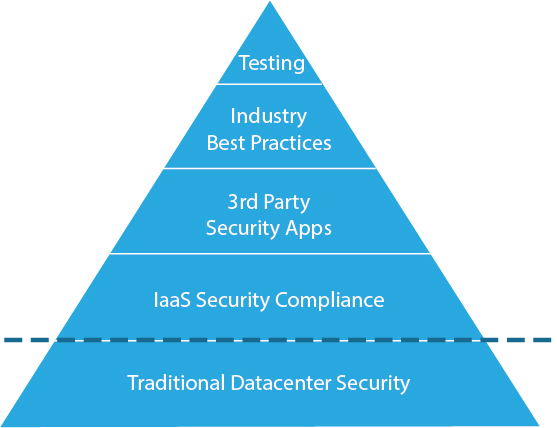 By layering native public cloud security, additional applications, industry best practices, and penetration testing techniques, the Cadence Clould Solutions provide security above many traditional datacenters.